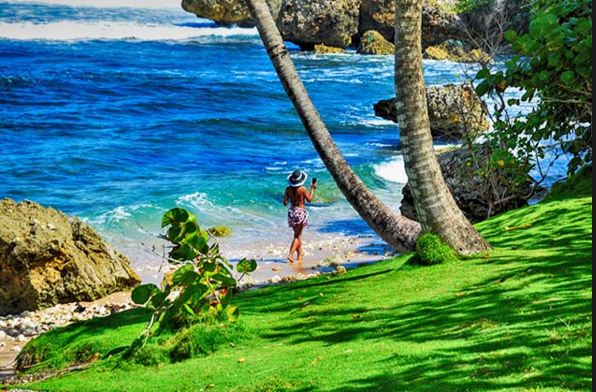 Barbados is the most eastern island of the Caribbean. It is 166 square miles (430 km²): 21 miles (34km) long (N-S) and 14 miles (23km) wide (E-W). It has a population of approximately 291,495 inhabitants (2016): 94% are African descendants, 2.7% Caucasians, 0.2% others and 0.2% unspecified. 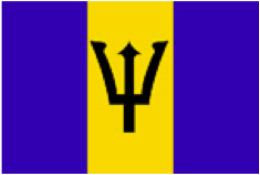 Spoken languages are English and Bajan (local English Dialect). 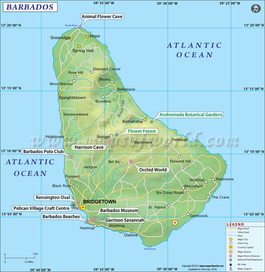 All Barbadian citizens are covered by the national health care. There are eight (8) polyclinics and four (4) satellite clinics throughout the country in addition to the Queen Elizabeth Hospital (general hospital), Psychiatric Hospital, and District Hospitals. Private health care is also available. Mental Health care is provided by the Psychiatric Hospital, one ward at the QEH, and two halfway houses. A Community Mental Health Programme has sought to reposition mental health care from institution to community. Care of the elderly is provided through a Geriatric Hospital and three District hospitals that provide long-term care. There is a partnership with nursing and senior citizens homes in the private sector, known as the ‘alternative care programme’. Care of the disabled includes assessment and rehabilitation services for children and adolescents with developmental disabilities. These are conducted at the Children’s Development Center and the Elayne Scantlebury Centre. The latter provides long- term care for persons with physical and mental disabilities. There are currently 13 OTs registered with the Paramedical Council of Barbados whom work on the island and eleven (11) Rehabilitation Therapy Technicians (RTTs) are working alongside OTs. Please contact our Country Representative for most recent job opportunities!